Not all of the negative effects of driving after consuming alcohol or drugs come from the Criminal Code. Most provinces allow for license suspensions in addition to criminal charges—or in some cases, even without criminal charges. A license suspension is a temporary loss of your ability to drive legally. When your license is suspended, you are not permitted to drive any type of vehicle, on or off the road. Your vehicle may be taken from you and impounded at your expense. 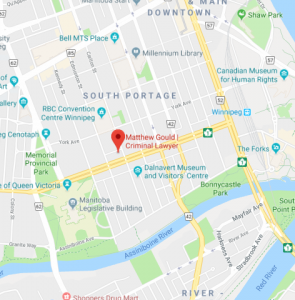 Reinstatement of your license costs $50, and for certain suspensions you may also be forced to retake a driving test (at a cost of $30 – 175) and/or attend programming with the Addictions Foundation of Manitoba (costing over $600). You will also be forced to pay an additional driver’s license premium. License suspensions are issued by the provincial driver’s licensing agency (in Manitoba, this is Manitoba Public Insurance). They are different than driving prohibitions, which are issued by the Criminal Code. Your license may be suspended if you fail a roadside breath screening, refuse to comply with a police officer’s demand for a physical coordination test or breath sample, or have a blood alcohol content of 0.05 or higher. Note that this is lower than the blood alcohol content of over 0.08 required for a criminal charge. You can also have your license suspended if a police officer believes you are too impaired to perform a coordination test or provide a breath or blood sample. How long do suspensions last? If a police officer believes you are too impaired to perform a coordination test or provide a sample, your license will be immediately suspended for 24 hours. If you have a BAC over 0.08, refuse to participate in a coordination test, or refuse to provide a sample, your license can be immediately suspended for 3 months. In order to get your license back after a criminal conviction, you will also need to participate in MPI’s Ignition Interlock program. While the effect of a driving prohibition and license suspension is basically the same (that is, you are prevented from legally driving), it is important to understand the differences. A driver’s prohibition comes from the Criminal Code and can only be issued upon a criminal conviction for certain offences: impaired driving, driving over 80, or refusal to provide a sample . A license suspension can be issued by MPI for a wide variety of reasons, including things like speeding. These prohibitions do not begin until any prison sentence imposed by a judge ends. Driving while suspended or prohibited is a separate offence under the Criminal Code and can lead to a sentence of up to 5 years. Do they affect my criminal record? License suspensions do not show up on your criminal record, but they will show up on your driver record through MPI. If your suspension is the result of a criminal conviction, however, your conviction will appear on your criminal record.